By Melissa Lennig on August 25, 2013 3 Comments. This content contains affiliate links. As an Amazon Associate I earn from qualifying purchases. It won’t be long until my oldest is an official kindergartener! And how do I feel about this? Nervous…excited…happy…and sad! It’s fun to watch him grow up, but he was my first baby and now he is losing teeth! I worry about if he will make friends, if he will be bullied, and if he knows everything a soon-to-be kindergartener should. My fears were calmed when Deborah Stewart of Teach Preschool invited me to be a contributor to her blog book study for her new book, Ready for Kindergarten! I devoured the book and am now confident that he is ready! I received a complimentary copy of Ready for Kindergarten in exchange for participating in the blog book study. Ready for Kindergarten is easy and enjoyable to read. The play-based, hands-on activities were created to give parents at-home tools to prepare their child for kindergarten. 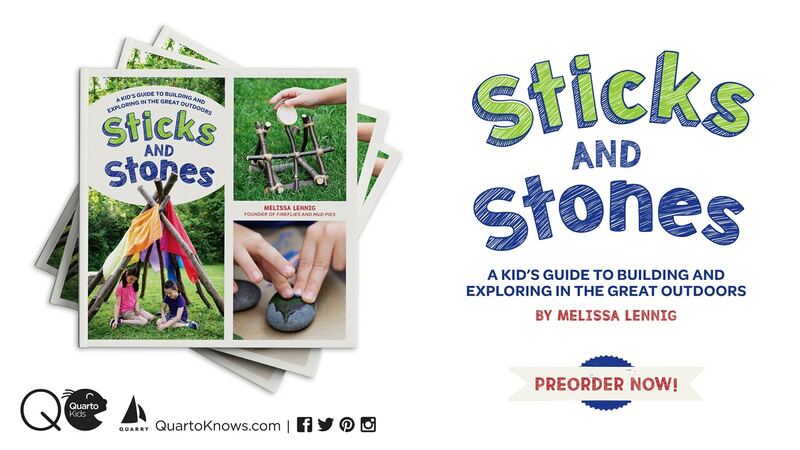 For my portion of the blog book study, I will be discussing Chapter 9: The Great Outdoors. As young children spend time outdoors, they are better able to develop their awareness of the natural environment and the role they play in taking care of the environment. This statement is absolutely true! 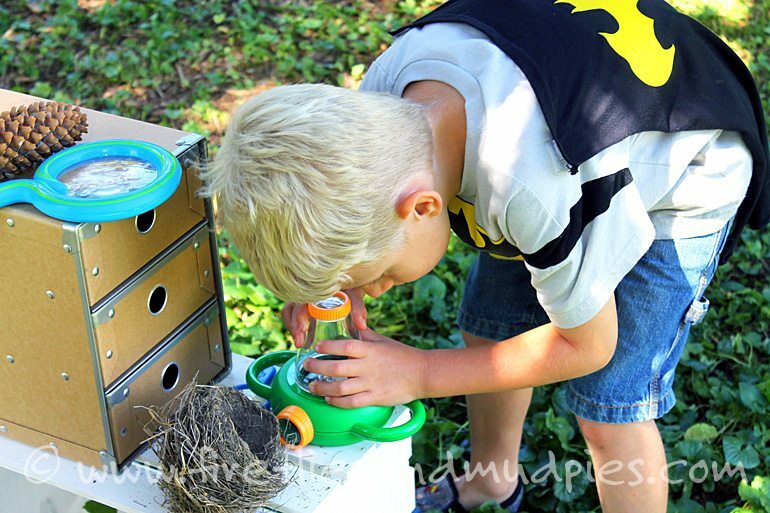 Children who explore nature are curious about the natural world and are well on their way to becoming environmental stewards. 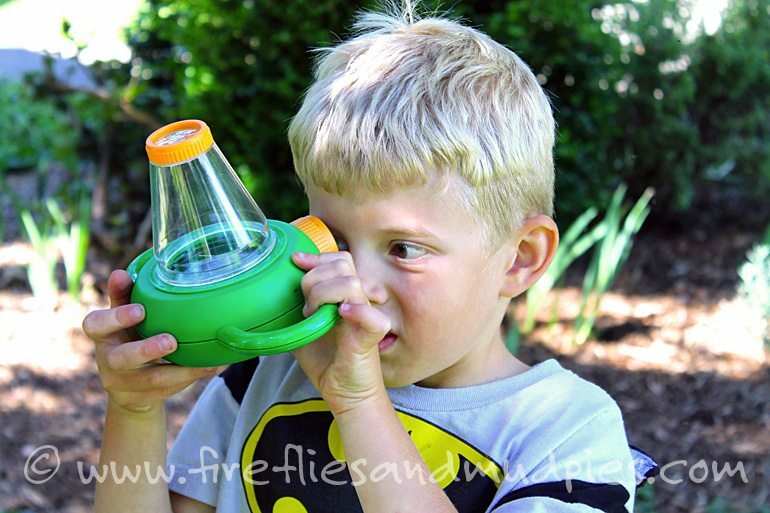 One way that I encourage my boys to interact with nature is through their Nature Collection. Raise your hand if your child incessantly picks up rocks, sticks, and leaves they want to keep. (My hand is up!) 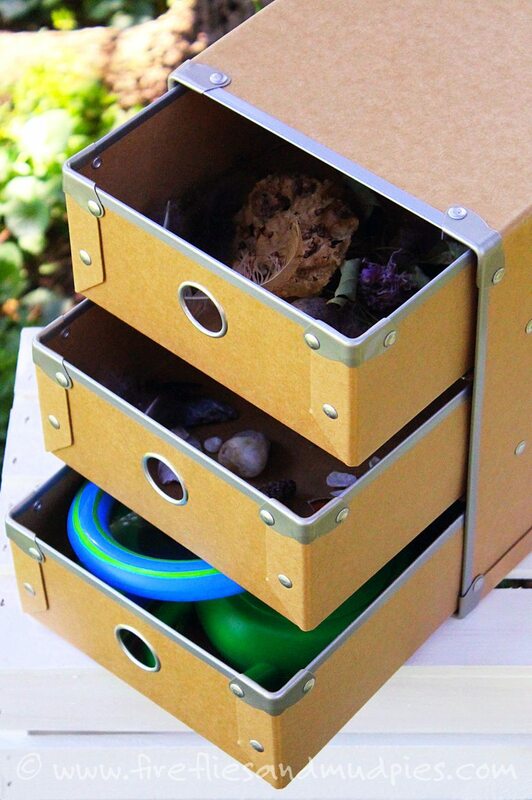 I used to have my boys place their nature treasures in a basket, but recently, we’ve begun storing their bits of shells, leaves, flowers, and bark in a 3-drawer cardboard box that I purchased in the scrapbook aisle of Michael’s. My oldest son has the top drawer, my little guy manages the middle drawer, and the bottom drawer houses magnifying glasses, plastic tweezers, and pocket nature guides. 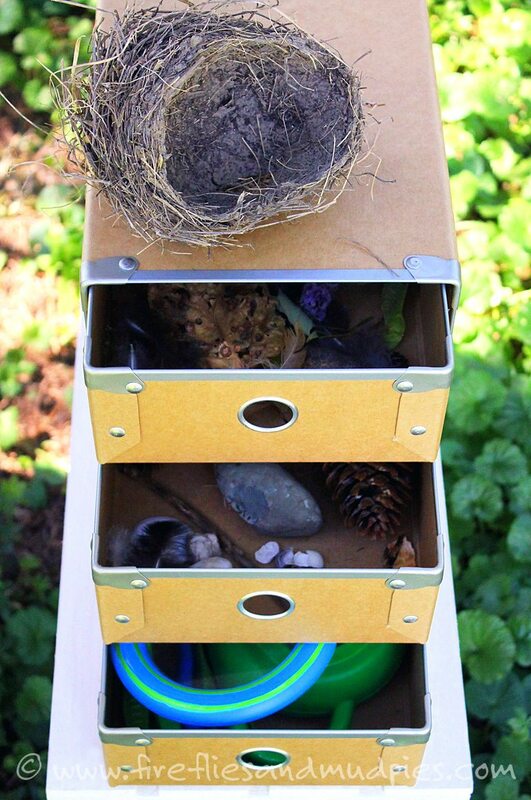 I store the Nature Box on a crate in the garage. The boys frequently pull it out to investigate its contents. Other topics in Chapter 9 include caring for plants, animals, and household pets, and learning about recycling and littering. 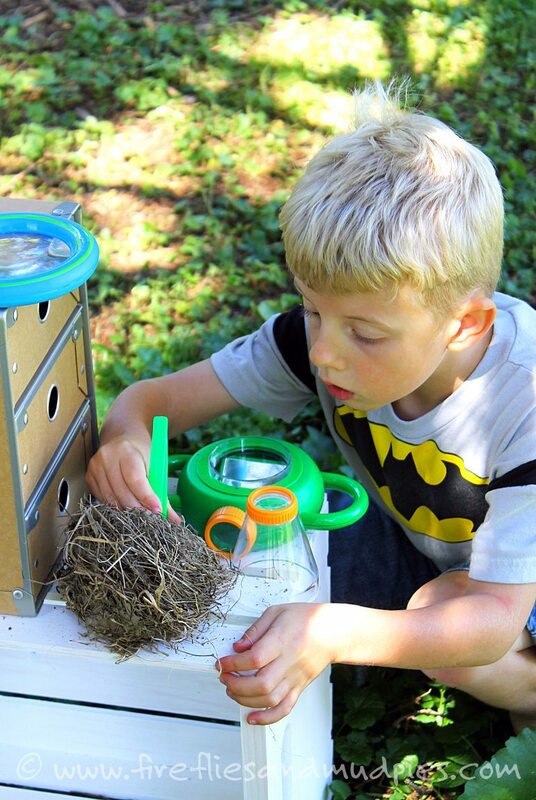 Interacting with the great outdoors will help your child get ready for kindergarten by making him aware of the world in which he lives, and encouraging him to be a responsible and caring citizen. Would you like to see more ideas from Ready for Kindergarten? You can find the list of blog book study participants HERE. I LOVE THIS IDEA! I would love to incorporate it as part of our preschool’s playground! You always have amazing ideas and posts about children in nature.